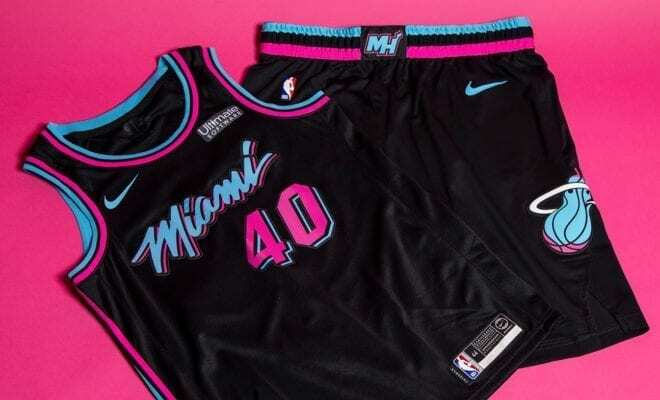 After outselling every other City jersey with their first ‘Miami Vice’ uniform last year, the Miami Heat have unveiled their second version. 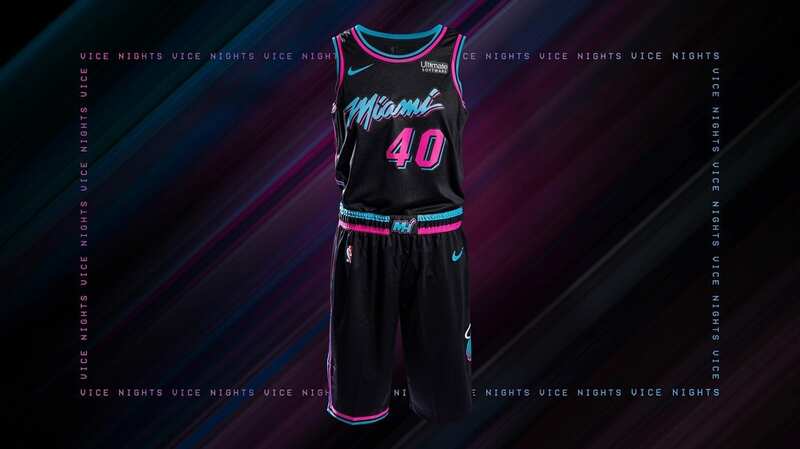 It’s a black design of the white, pink and blue jersey that shattered NBA sales records last season — and it’s straight neon fire. 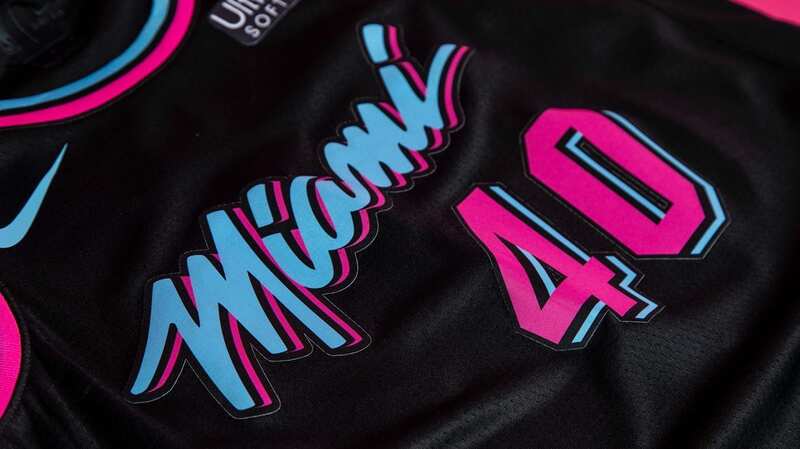 ‘Miami Vice’ lives on through the Heat’s threads once again. From the white linen jacket worn by Don Johnson to the synth-pop music, the show has become a symbol of the ’80s. 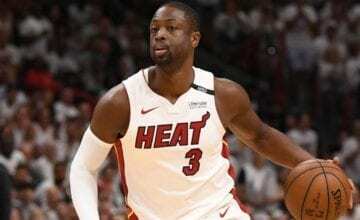 Last year’s white Vice jerseys were so popular that the Heat and Nike couldn’t meet demand, but Heat executives promise this year they’ll be better prepared. 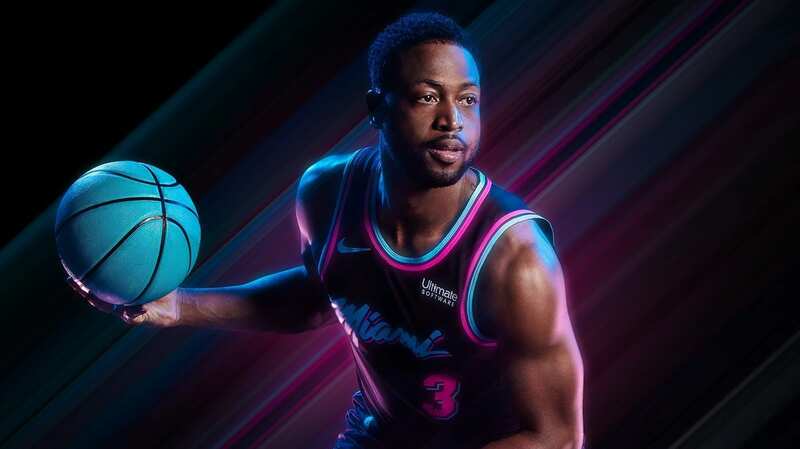 I don’t care if you’re a Bulls diehard or a Knicks tragic, don’t you dare tell me that you don’t want to be rocking a D-Wade ‘Miami Vice’ jersey on the beach this summer. 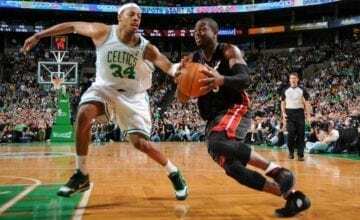 I can see you right now. Open Hawaiian shirt, linen pants, no socks, boat shoes, Ray Bans; looking like a 2018 version of Tommy from GTA: Vice City. 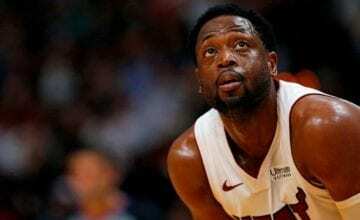 The Heat will wear the jerseys during 14 ‘Vice Night’ games, and will debut the uniforms on Friday when they play the Pacers on a matching Vice court.